Air Compressor Machine is a good Small Business idea. Air Compressor Machine is used to paint refrigerator, cars, almirah etc. At first you have to buy colour from market and pour it in spray-gun. The spray-gun is linked to Air Compressor Machine with a pipe. Then you may paint whatever you want to colour with spray-gun machine. According to the difference of work capability it needs ½ to 5 hp motor and 220 to 440 volts to operate the machine. The price of the Spray-Gun machine is approximately RRs. 400 to Rs.1250. 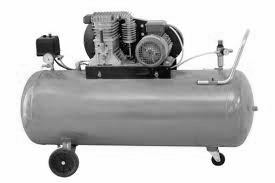 The price of the Air Compressor Machine with 1 hp motor is approximately Rs.10, 000. You can find many companies manufacturing a wide range of Air Compressor Machines. Their machine matches high technology electronic control. The information provided in this blog has been collected from different sources such as news papers, various websites; and is for information purpose. The author/publisher of this blog will not be responsible for any damage may arise thereof. I apologize for any unwillingly written misinformation. Please inquire before taking further steps. If anyone have any objection about the information and photos of my blog please inform me.